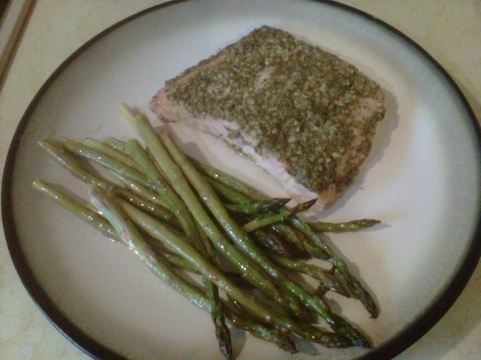 This salmon dish is extremely easy to make but so delish! Just place some minced garlic on the fillet and a layer of pesto. Voilà! 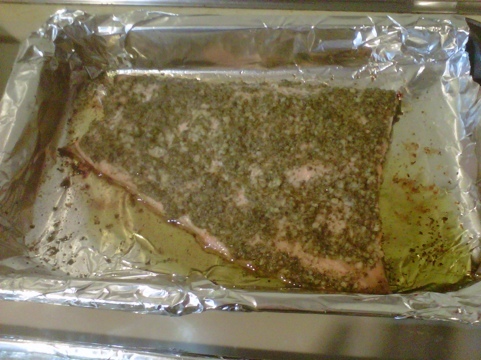 Cook in oven for 25 minutes or until fish is flakey. What pesto do you use? I don’t have a favorite, just whichever one I find at the grocery store.